Publisher: The Green Board Game Co. This great game was created by renowned German games Inventor Reiner Knizia. Simply take turns to make as many links as possible by placing tiles next to any side of an existing tile. 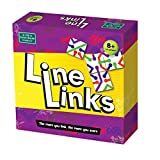 This exciting game from Reiner Knizia has you battling to link more line then your opponent, So the more you link, the more you score. 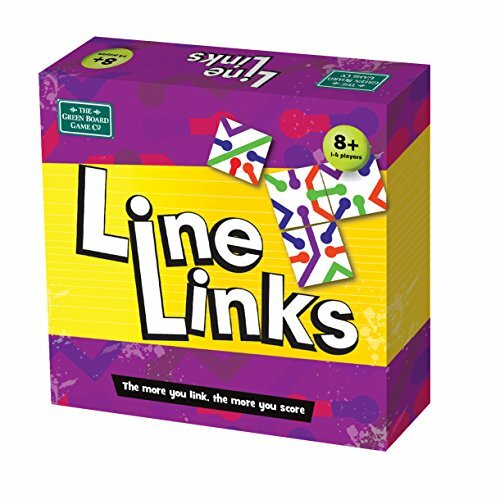 The object of the game is to collect point by linking the coloured lines together for points.Contents 25 X 86mm x 86mm Tiles 1 x Rules Booklet The First player places their tiles next to any side of the existing tile to make as many links as possible to score as many points as they can with that one tile. The more you link the more you score.